Police sources said that about 90 youngsters, most of them from South Kashmir, have joined the militant ranks in 2017. 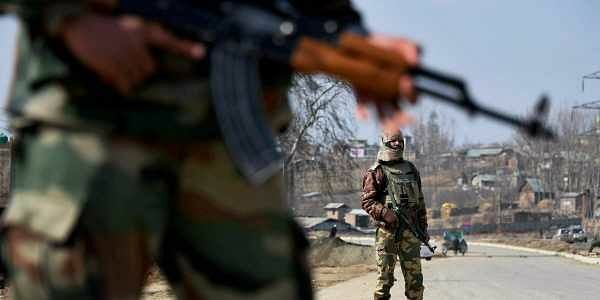 SRINAGAR: Despite massive operations by security forces and the killing of 170 militants this year, there has been no end to local recruitment into militancy in the Kashmir Valley. Police sources said that about 90 youngsters, most of them from South Kashmir, have joined the militant ranks in 2017. Most of the new recruits have gone to Hizbul Mujahideen and Lashkar-e-Taiba and a few to Masood Azhar’s Jaish-e-Mohammad. Police sources said local militant recruitment has in fact picked up since last year. “Some of the recruits are teenagers who were lured through social networking sites,” said a police source. Most of the recruitment this year took place in Anantnag, Pulwama, Kulgam and Shopian districts in South Kashmir -- the epicentre of last year’s unrest after the killing of Burhan Wani on July 8, 2016. Most of the 94 civilian deaths in police firing happened there. Police statistics show that local recruitment spurted after the killing. Only 53 youth had crossed over to militant ranks in 2015 but 88 did so in 2016. However, a senior police officer said the spurt in recruitment is not alarming. “Basically these new recruits are those who used to work as overground workers (OGWs) earlier. After the militants suffered heavy casualties this year, they had no choice but to draft the OGWs as well. “In previous years, recruitment was less because we killed a fewer number of militants. Now that militant killings have risen, so has recruitment,” the officer said.